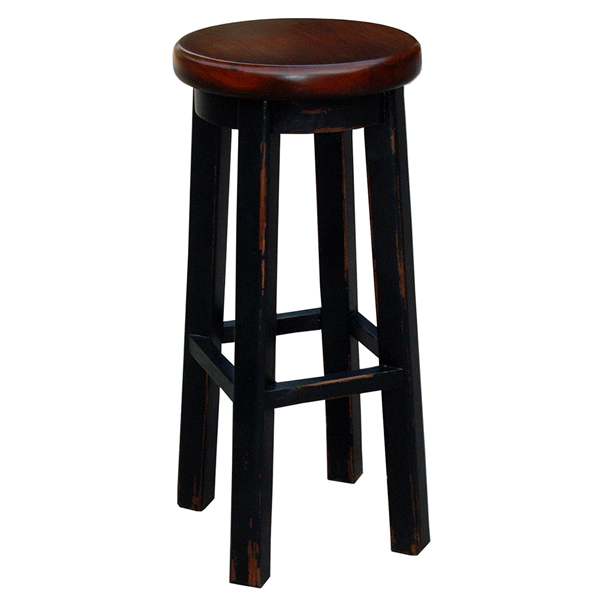 Simple, little round top bar stool. Also available in a Counter Stool. Shown in Black Heavy Distressed painted finish on the base and Aged Honey wood stain on the seat. Handcrafted from solid premium mahogany.